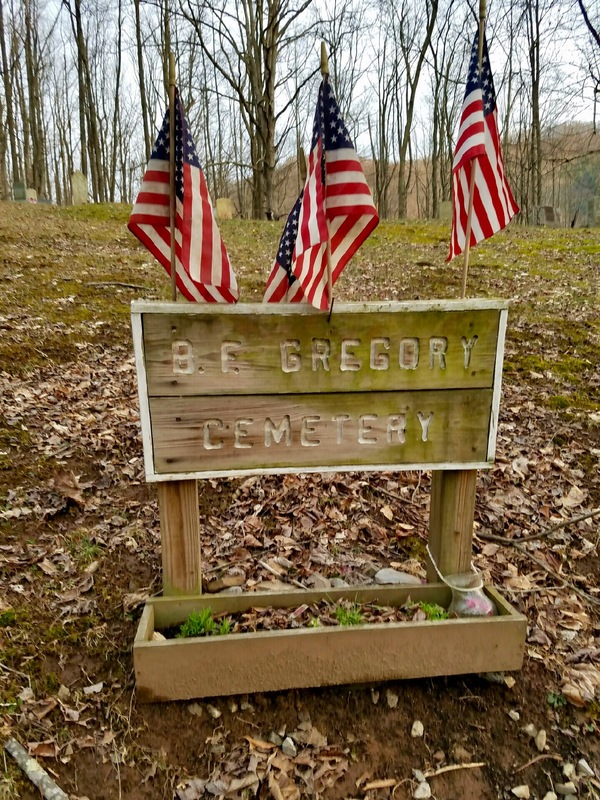 The B.F. Gregory Cemetery is at 6 Curtin Loop, in Curtin, Webster Springs, Webster Co, WV (formerly VA). Although usually still called Webster Springs, it has been Addison, WV for over 100 years. 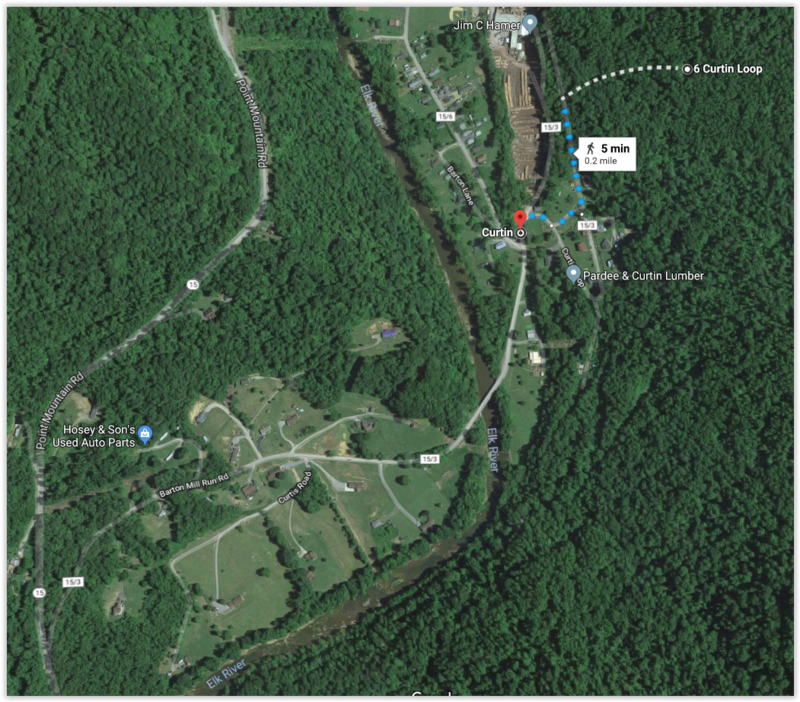 Curtin (about 5 miles from Webster Springs main town) is in the eastern portion of Webster Springs along Highway 15 on the Curtin Loop (15/3), which is the right road fork off of Point Mountain Rd. onto Barton Mill Run Rd. that crosses east over the Elk River into Curtin, at which the Pardee & Curtin Lumber turn off is taken to the right. Just after this turn, take a left cut off, then left again rejoining 15/3. Note that 15/3 follows more than one road-path. There is one leading very close along the right edge of the Jim C. Hamer Mill; however, the series of turns just described takes another branch of the road. This branch road follows along the hillside to the right of the Jim C. Hamer Mill, but farther up the hillside, parallel to the lower road. A short distance after the last left turn (before reaching the mill itself, but adjacent to the mill yard) there is a road going straight up the hill to the right, leading to the cemetery. On the aerial map shown, if coming from the main town in Webster Springs driving to Curtin, you will be on Highway 15, coming from the bottom of this map section, heading back north, then branching onto Barton Mill Rd (15/3), cross the river, to Curtin, and 4 turns as you skirt around the mill yard, up the hill to the cemetery.